Basic parenting styles can be classified among Authoritarian, Authoritative, Permissive, and Neglectful styles, according to the prevailing typology developed by research psychologist, Diana Baumrind. Though the model was developed to consider effects upon the parent-child dyad, it is reasonably extensible to other relationships – our children, and also other ‘dyads’ – employees, canines, and equines. How we relate to one group often extends to others. In the case of our children, we must accommodate a cooperative involving at least our child’s other biological parent, in addition to potentially one or more step parents. In the case of our animals, the relationship becomes more exclusive (for better or worse), and with less opportunity for influence by others. 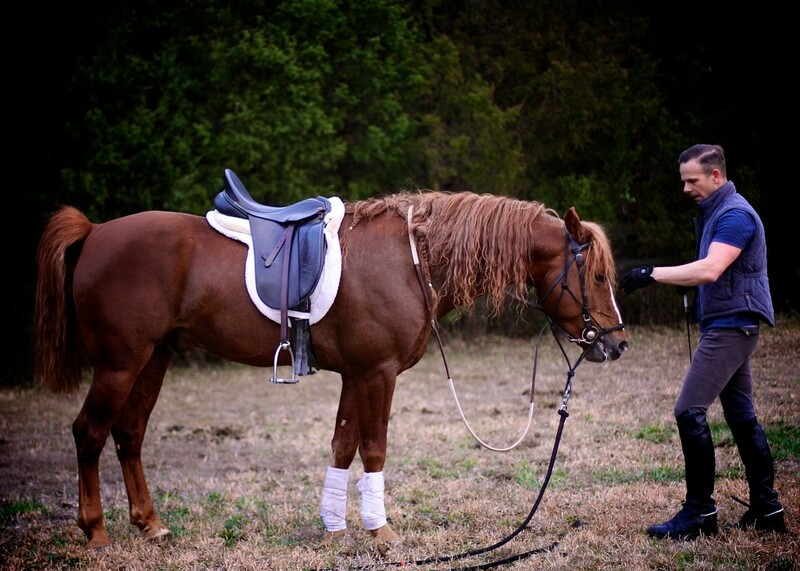 With our horses, the onus is very much on us individually to reflect upon and understand our style, which will fall among one of four general approaches. Think of the four styles as bowls of porridge vs. colors of the rainbow, as it were: only one is “just right”, the others are too hot, too cold, or too non-existent; ultimately, they merely serve to describe gaps relative to the ideal – gaps we should endeavor to close if we can. Now, before I give you the opportunity to rationalize your way into the “Ideal Parent” club, understand we don’t really get a vote in determining our “as is” style box, in spite of the reflex which may have you mentally preparing a case for nomination to the “Ideal” box vs. a “Needs Improvement” box. Fortunately for the “child you”, and unfortunately for the “parent you”, it doesn’t really work that way. Your actual style isn’t determined by your perceived practices, although certain practices are inevitably more common among certain styles than others (i.e., “corporal punishment” is prevalent among Authoritarians; occasional among Authoritatives; and rare/exceptional among Permissives and Neglectfuls). Instead, your style is determined by the sum of the effect of your practices and behaviors (the ones you’d like to put on your list, plus the ones you’d like to ignore, plus the ones you’re unaware of), which cumulatively produce the only thing that really matters here with respect to children or horses: the emotional environment you actually effect. For better or worse, therefore, if you want to know what your parenting style really is, you’ll have to rely upon its object(s) – that is, your children, employees, dogs, and horses. The first two, however, will have a tendency to give you the answer they think you want; the second two, though more honest, are unable to speak English. Authoritarian, Authoritative, Permissive, and Neglectful parenting styles exist along a simple, two-dimensional continuum comprised of “Demanding-ness” (roughly, the extent to which rules and limits are prescribed, and the rigor with which compliance is enforced) and “Responsiveness” (the degree to which a child’s emotional needs are met in terms of perceived regard, warmth, love, security, involvement, etc.). While the essence of Permissive and Neglectful styles may be grasped intuitively, the author of this particular model might have reached for less similar terms when delineating Authoritarian and Authoritative styles, since a) the terms are used interchangeably in day-to-day informal language, b) one represents the ideal, and the other has some fairly negative implications. Before applying the terms to our equestrian ends, let’s clarify the intent of the terms to avoid confusion. Let’s begin in a vacuum, in the absence of ‘parental’ engagement. At this end of the spectrum, a Neglectful style demands nothing, and responds to nothing. The implications in the case of children are negative, effectively installing a range of psychological ‘malwares’. The lack of unconditional love and the absence of any limits creates a range of ongoing issues for humans. With horses, such an interaction style simply equates to nothing productive: no relationship, and obviously no progress with respect to high school development. If this style were a bowl of porridge, it would be empty bowl with no porridge in it. What naturally follows? “Too cold”, of course. The Authoritarian style only turns the Demanding dial, leaving the Responsiveness dial at zero. We foster the development of the opposing extreme in this case: an individual who conforms due to fear, but does not understand, and who, in time, either will not or cannot express their own feelings effectively – they become difficult to “read”. This Authoritarian style may seem impressive in a cowboy clinic environment, particularly if your historically Permissive style has resulted in a spoiled horse lacking basic manners and etiquette. From a clinician standpoint, it’s quite a simple thing to teach Permissive individuals how to “get respect” by getting more aggressive and becoming ruthlessly consistent with sharp corrections in a “no exceptions” environment. 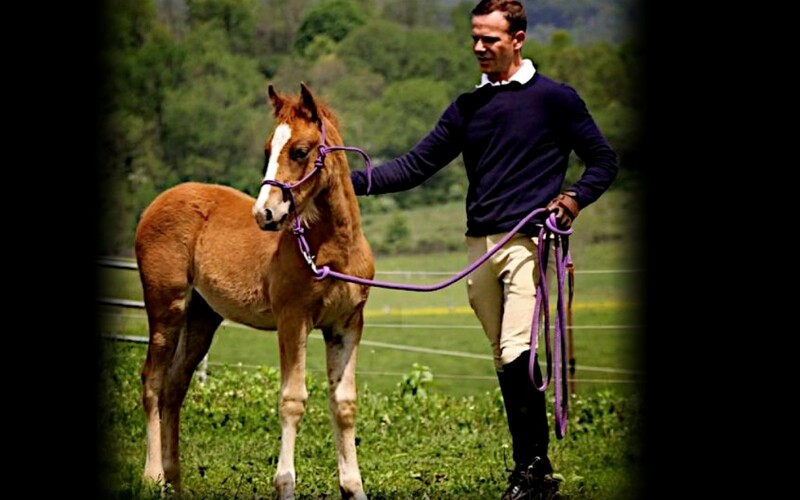 But while you may be able to effect elementary ground manners quickly, and may even be successful in developing a trail horse that will walk, trot, and canter (depending very much upon the personality of your horse, and your ongoing ability to prevail in several future physical contests), the approach will never work for most people and most horses in a high school context. The notion of Goodwill from your horse. By this I mean: your horse trusts you. He trusts you to act in a predictable, sensible manner. He trusts you’ll “hear” him when he becomes uncomfortable or uncertain. He trusts you’ll accurately discern the intent of his actions. He respects you because you seem to win all the arguments, but he doesn’t fear your impatience. Rather, he seems to enjoy his time with you. In fact, he’d rather spend time with you than not. The ability to maintain meaningful, two-way communications during moments of uncertainty and stress inherent to high school development. Study of the piaffer is among my first objects in high school training. Whether we approach it by amplifying the counted walk, or reducing the school trot, we will find ourselves at the confounding precipice of the “hover”, where we must bifurcate the horse’s notion of movement into two independently adjustable variables – RPMs and MPH, if you will. Unlike virtually everything he’s been taught up to this point, the concept is no way native to him. Extraordinarily subtle gestures from your hands and legs will urge him to keep moving when he feels inclined to stop moving, yet will must also discourage physical forward progress. The fearful horse can only overreact – initially lurching forward when asked to “keep moving”, and stopping when asked to “stop moving forward” – eventually quitting his efforts altogether in confusion, and in hopes of reducing his opportunity for committing further errors. 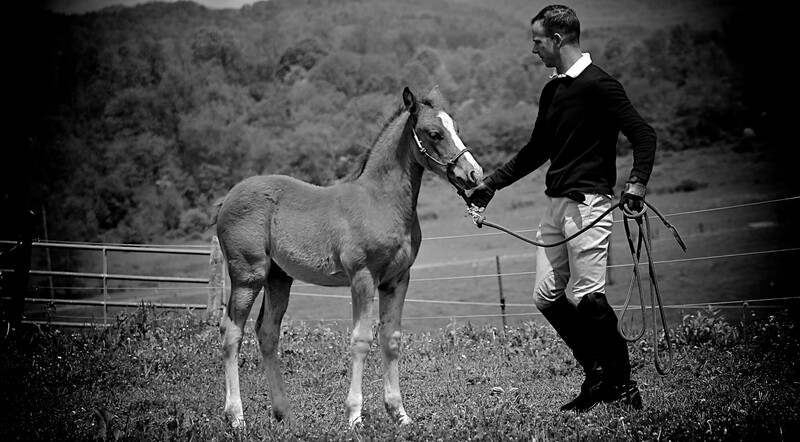 The right answer for children (and horses in my view) is what is called the Authoritative style (1). Unlike the Authoritarian style, the Authoritative leaves plenty of room for the relationship, and accommodates deviations from the rulebook as long as there seems to be no malicious intent. The Authoritative realizes the importance of discerning playful, happy behaviors from disrespectful behaviors, and is careful to avoid responding to the first thing as if it were the second thing. Rules and boundaries exist, but the Authoritative trainer is quick to factor in the circumstances when dealing with resistances. This does not imply one spoil the horse, but it does leave room for second chances, prioritizes supportive empathy, and the avoidance of direct conflict when it is possible – and it almost always is. 1. Spera, Christopher (1 June 2005). “A Review of the Relationship Among Parenting Practices, Parenting Styles, and Adolescent School Achievement”. Educational Psychology Review 17 (2): 125–146.doi:10.1007/s10648-005-3950-1. Retrieved 1 December 2014.